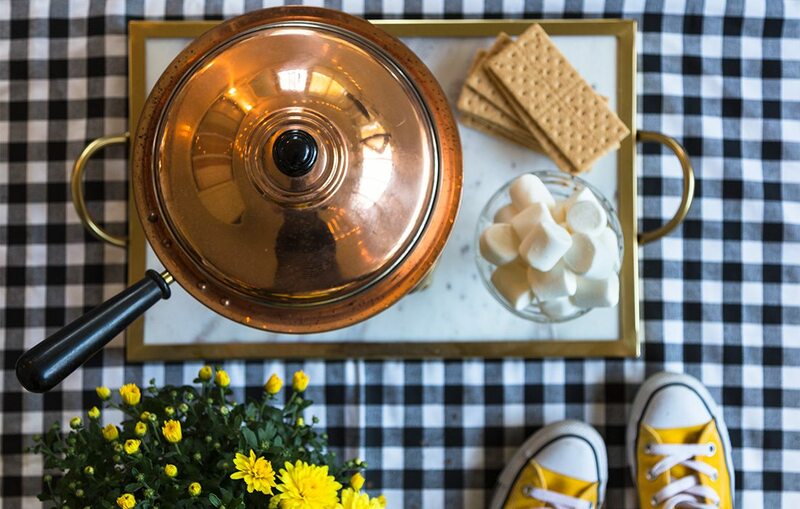 A slightly spiked chocolate-hazelnut fondue recipe made with local ingredients. 1. Combine chocolate, hazelnut spread, milk and cream in a saucepan on low heat until melted and combined. Do not boil. 2. Stir in the beer until combined. 3. Pour into fondue pot, and keep warm while serving. 4. Serve with graham crackers, marshmallows and any other tasty dippers that you’re hungry for!